When each summer begins, Belly leaves her school life behind and escapes to Cousins Beach, the place she has spent every summer of her life. Not only does the beach house mean home away from home, but her favorite people are there: Susannah, her mother’s best friend, and her sons, Conrad ad Jeremiah. Belly has been chasing Conrad as long as she can remember, and more than anything, she hopes this summer will be different. Despite distractions from a new guy named Cam and lingering looks from Conrad’s brother, Jeremiah, Belly’s heart belongs to Conrad. Will he offer his to her? Will this be the summer that changes everything? You’re fifteen, you spend your summer in a beach house with two cute brothers, a carefree mother, a loving best friend of your mother plus a long time admirer, what could possibly go wrong? What should I say? 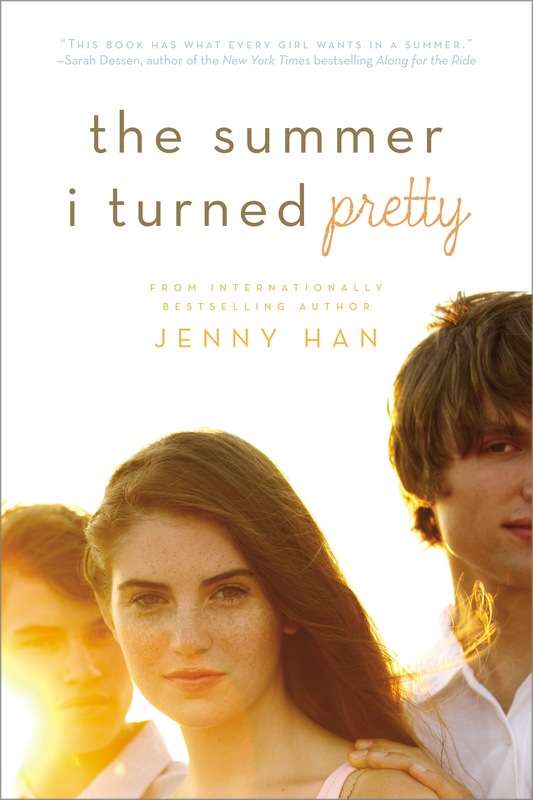 It’s my first ever novel by Jenny Han. It’s really good. A perfect summer contemporary read. I can’t find the right words to explain to you what I feel towards this book. The whole summery theme of the story is cute and the love triangle between brothers Jeremiah and Conrad, and Belly is so adorable. The story plot was great, it really hit me in the right spots. I liked Belly’s character in a way that I can easily relate to her. I want to see more character development as I continue reading this series. Between Jeremy and Conrad? Well, I’d definitely choose Jeremiah. I really want to know who will end up together, Belly and Jeremiah or Belly and Conrad? OR maybe, just maybe she will end up with someone else. I will surely continue on reading this series.